Clear skies, crystal azure waters, soft white sand, world class diving, this is what dreams are made of, and yours can come true with a trip to the Philippines. 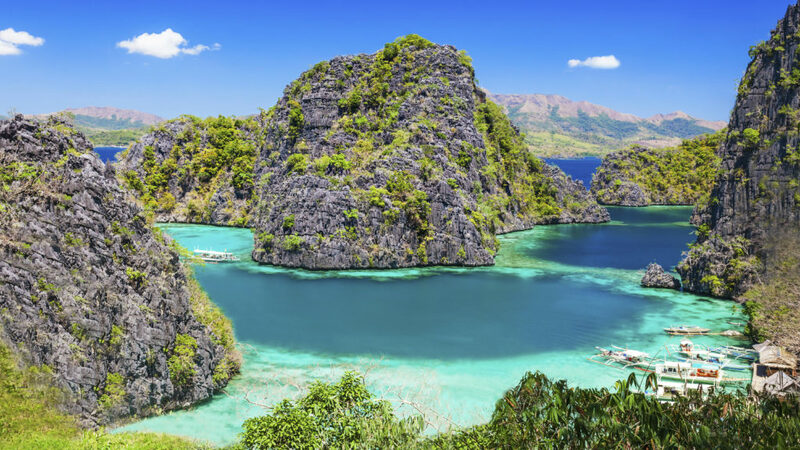 This south-east Asian archipelago is home to over 7000 islands, and really is the definition of pure paradise. It is no coincidence that “It is more fun in the Philippines” is the country’s tag line. So lay back, pour yourself some coconut water and start planning your next adventure. Holidays are most popular during the dry season, between November and April, and during this time the country is fully accessible. Temperatures are very high during March and April, so it’s advised to travel during the cooler months of December to February. 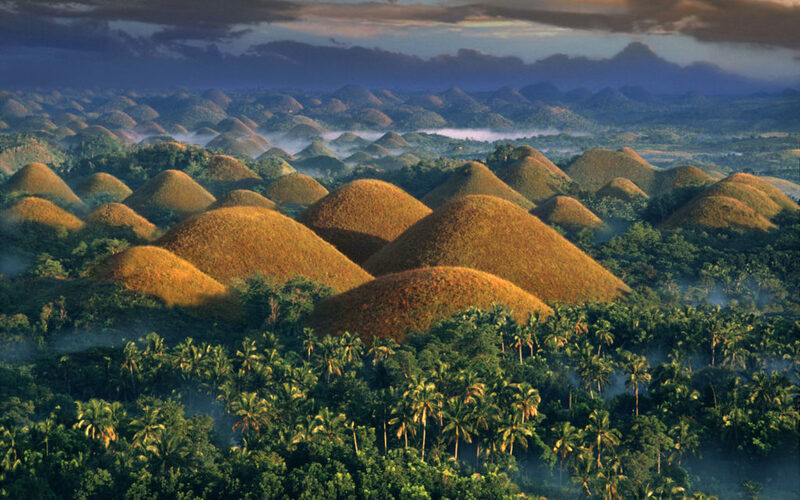 Take a trip the breathtaking Chocolate Hills in Bohol, and stop off at the Tarsier sanctuary on route. These rare and endangered species can only be found here and are definitely worth visiting. They look like little Furbies sleeping in the trees, with huge alluring eyes and long tails, they seem more like fictional creatures. We recommend renting a scooter and exploring the island. From here, you can get a boat over to Cebu for your infamous Whale shark selfie while snorkeling with the friendly giants. This day trip is worthwhile. You will certainly create unforgettable memories and a profile picture of dreams. This will definitely be the highlight of your trip. Mesmerizing views and peaceful beaches offer the ultimate in relaxation and peacefulness. El Nido town boasts a traveler friendly vibe, bursting with shops selling local trinkets, and cute cafes and restaurants. For a fun night out, head to the beach front where local bars attract visitors for live music and delicious cocktails. Take a boat trip to the islands, where your driver will cook for you a lunch of freshly caught fish and pick the ripest, juiciest fruit from the tropical trees. Those incredible photos you keep seeing of the magical rock crevices are here, so don’t forget your go pro and selfie stick. Green Views offers authentic wooden huts on a secluded beach, providing a truly tranquil stay. You can book your boat trips at reception. Don’t miss out on live Reggae music every evening at sunset, as you sip on your pineapple shake and watch the sun go down, you won’t want to be anywhere else in the world. The diving hub of the Philippines, diving between WWII shipwrecks on this island is a day to be remembered. 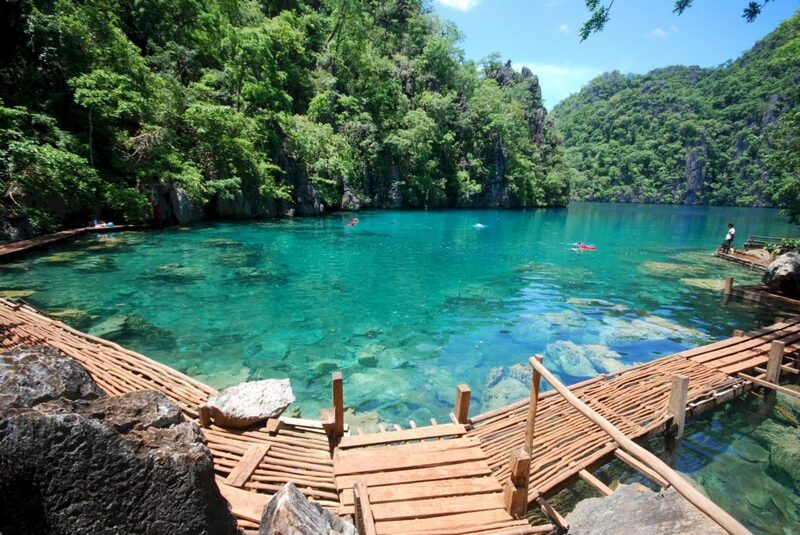 The world famous Kayangan lake is an absolute must. Take a day trip out to the lake and other beautiful stop off points. (Top Tip: pay a little extra to get your own private boat, it’s totally worth it). End your day with a hike to the view point to watch the sunset.